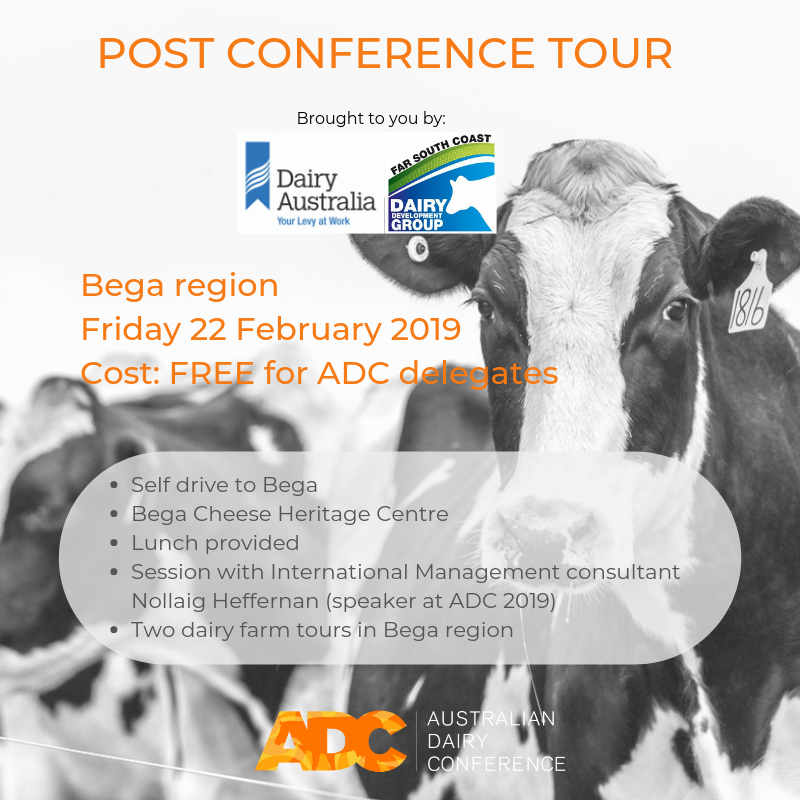 Due to high interest and demand to see the surrounding dairy regions ADC is now offering a post Conference tour to the Bega region on Friday 22 February. As an extension to your ADC Conference experience, self drive to Bega and join fellow delegates at the Bega Cheese Heritage Centre before hearing more from international management consultant Nollaig Heffernan and then a tour to two dairy farms in the region (transport provided). Tour start is 10.00am with the tour bus returning to the Heritage Centre at approximately 4.00pm. The post Conference tour is FREE for Conference delegates thanks to a partnership initiative between ADC, the Far South Coast Dairy Development Group, Dairy NSW and Dairy Australia. If you wish to be part of the Bega tour please contact ADC Programming member and local dairy farmer Michael Rood to register your interest. Register your interest for the Post Conference Tour.